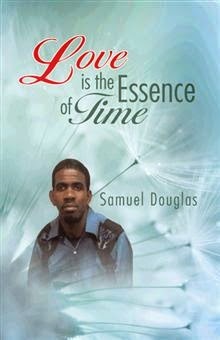 Love is the Essence of Time by Samuel Douglas Book Feature – Win a $25 Amazon Gift Card! This book is all about love as seen through the eyes of the author. Love Is the Essence of Time explores his deepest thoughts as he seeks to relate his understanding of the most powerful word on earth. He attempts to answer burning questions that affect everything that love touches. It is one of those books straight from the heart. Samuel Douglas was born in the parish of St. Catherine, in Jamaica. His family relocated to the parish of Clarendon, closer to the center of the island, where he spent his childhood years. He enjoys playing football attending church and listening to gospel music. However his greatest joy is being around people and making them happy. His goal in life is to do whatever it takes to put smiles on the faces of all the people he meets, and to brighten their days. In fact, he wrote this book about love to do just that. Samuel is giving away a $25 Amazon Gift Card!